ONE of the best decisions I ever made, many years ago, was to get a number two haircut. I finally came to the realisation that comb-overs, or in my case a comb-back, no longer hid the shining dome that was my scalp, so I went for the "if you can't hide it, flaunt it" look. I don't need to carry a comb, my bottle of shampoo costs $1.99, dandruff is a thing of the past and a visit to the barber costs me all of two and sixpence. Now I could go out and buy electric shears, but I can't see the back of my scone and with my shaky hands there's a fair chance I'd end up minus eyebrows as well. 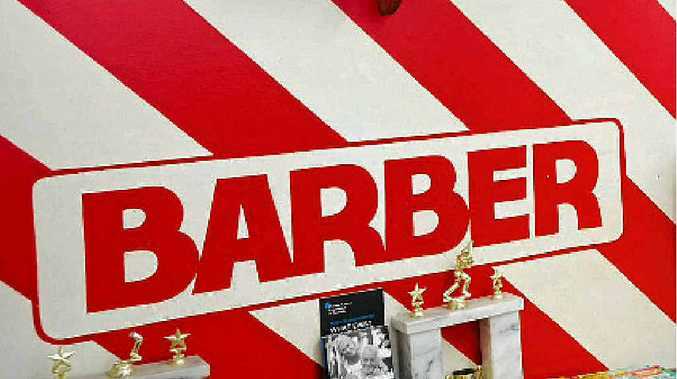 More importantly, going to the barber is a bit like a men's shed. Here is a place where women fear to tread, where men can talk freely about all and sundry - knowing that anything said will not pass beyond the front door. My barber is a bloke by the name of Gary Storr. Gary's an import from The Olde Dart, and is a good bloke for a Pom, keeping his whinging down to acceptable levels - usually confined to the performance (or otherwise) of Manchester United and the inability to have a cup of coffee due to too many customers. Gary has a price list of haircuts on the wall which seem to bear no resemblance to what the individual customer pays. If you are a regular and he likes you, the remuneration is both private and confidential, with payment blocked from the view of others. I rolled in the other morning bang on opening time to find one bloke already in the chair and four others waiting in line. I thought about grabbing a two-year-old copy of Top Gear, but the banter was in full swing and joining in is mandatory. Gary commented that he had just celebrated his 38th wedding anniversary - I've done 29 years, but that's been spread over three wives - and didn't that open up a whole new line of conversation! Much of what followed can't be repeated for fear of incriminating the guilty, but we did all agree that a woman will never lose an argument. On the extremely rare occasion where we men positively, and beyond doubt know that we have them backed into a corner from which they cannot escape, they simply change their line of reasoning: "Yes, but on February 14, 1966 at 3.45pm, you did such and such!" Like the others present (now numbering seven), I can't remember what happened last week, much less back then. We all agreed that our partners only have precise memories of the things that we've done wrong. In the middle of this, a mother opened the door with her three boys. Whether she caught the tail end of someone's sexist comment or there were just too many blokes queued up, we will never know. All we heard was, "No! Your father can bring you!" The next time your partner has you backed into a corner from which there is seemingly no escape, plead deafness due to the bushy forest growing out of your ears - and then head straight to your local barbershop - the last bastion of political incorrectness. To Gary Storr and all the others of his profession, we males salute you!